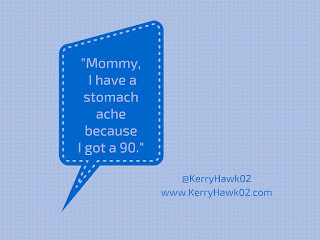 "Mommy, I have a stomach ache because I got a 90." That is one of the last things my first grader said to me before she went to sleep tonight. I've never written a post from the parent perspective before. This is new territory and I've avoided it until now because my expertise and experience lies in secondary education. I didn't feel it was my place to comment on elementary education without studying and experiencing it. The thing is, I have an expertise at being a mother of two little girls who are just starting school–one is in first grade and the other is in preschool. My daughters’ game of choice is "playing school" with a little easel and some books and paper and a class made up of dolls and stuffed animals. 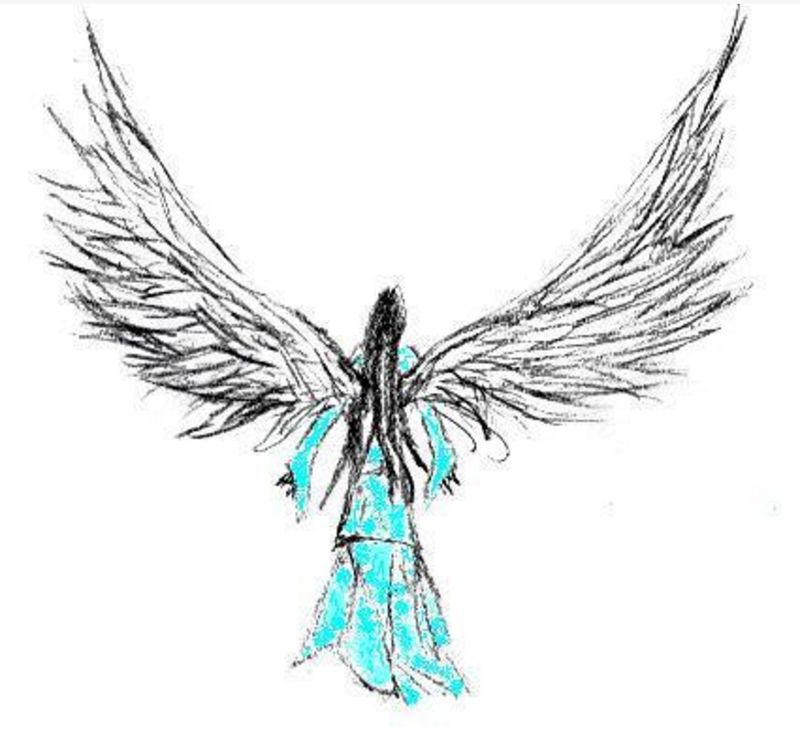 They teach through singing, drawing, and encouragement. They build in rest time and quick chats with the pretend parents who pick up their stuffed animal students at the end of the day. It's funny how my 4 and 7 year olds have intuitively picked up the parts of a learner's day that have the greatest impact. They know that music, hands-on activities, and positive interpersonal connections help create an environment where learners can thrive. For my child, it started to happen today at age 7 and in first grade. She has a great teacher who has not emphasized test scores at all. Today they went over an assessment together and each student figured out how he/she did. As a teaching practice, I definitely see the value. But my daughter somehow interpreted that she did something "wrong" and it followed her all day until she said something to me at bedtime. She even narrowed it down to a score. She gave herself a 90. That 90 made her stomach ache. It isn't her teacher's fault. Maybe it is my fault. I'm her mom and I knew how to play the grades game in school. She's got my genes, for sure. I'm also an educator who talks education...a lot, and she hears some of it. Or maybe she's learned about grades from the chatter of the older kids on her school bus in the morning. More likely she's learned it from all of these sources combined. It isn't really about fault or blame. It's about what I learned about learning tonight. 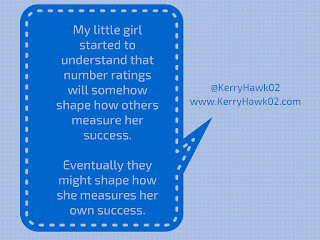 A teeny tiny part of my little girl started to understand that number ratings will somehow shape how others measure her success. 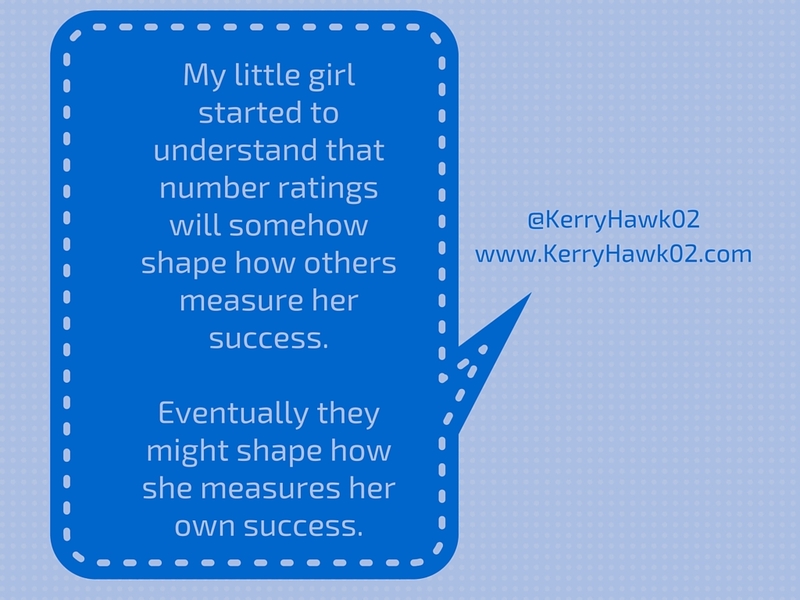 Eventually they might shape how she measures her own success. I'll do everything I can to make sure they are only one factor, one of many, and not THE factor. I'll make sure those numbers pale in comparison to the importance of her actions and intentions. In fact, she and I had this discussion last night. It might have been the first time, but I know it will not be the last. Maybe it is idealistic to expect the education machine to transition to a gradeless, learner-driven, standards-based place where our children understand that iteration is a part of the learning process. Iteration is not the same as getting something "wrong" or "failing" and then trying again. Iteration is what motivates us to start over and over when we are playing video games, or when we don't instantly solve a puzzle at first glance, or when we are learning the words to a new song we like. Iteration is how our little ones learn to read: they try to sound out, decode, and apply meaning to words. They are not successful with every word, but they are not told they are wrong. 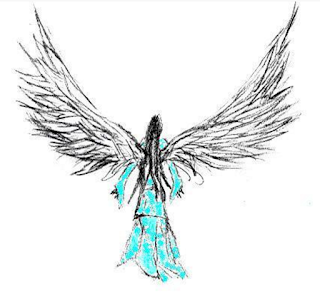 They are told to try again and are given encouragement. Why does that mindset change in first grade? Sixth grade? High school? College? The workforce? Ever? If my preschooler and first grader are aware of the elements needed to help a learner thrive, why are those elements deemphasized as children grow and rise through the grade levels? The way formal schooling is structured now–around grades and percentages–is failing our kids. Will we do something to change it? Thank you to Mark Barnes for welcoming me as a guest on his Hack Learning podcast after reading this post. We got to talk about this topic, my experience with my daughter, and provide some ideas for parents and educators facing this same situation. You can listen to the podcast here. Teachers love technology that gives them a chance to create and curate content; give students a learning experience that is fitted to their personal needs; provide a feedback loop between students, teacher, and parents instantly; and when they are able to bring the world to their students via online media and video chats. Technology has enabled students to be creators of evidence of their learning. School is not longer about taking a test. Students are creating movie trailers or designing infographics, and then sharing that work with the world outside their classroom. Frausto made a great point when he said, "I've never been asked as an adult to prove that I can use a glue stick." We want our students to be doing things "that adults have to do," as Worthington mentioned, while they are in school. School should not be thought of as preparation for the real world. It is the real world for our students. Teachers have seen their students as film-makers, designers, advocates, authors, and more. They can build marketing, designing, and communication skills as they contribute to their school and community. Up until this moment in American education, the adults have been the experts and the children have been the learners. Year to year, month to month technology is evolving so quickly that children and adults are learning it together. 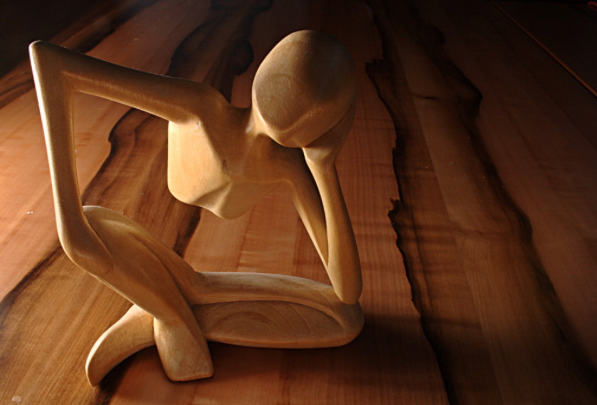 Adults don't have time to develop an expertise before their children have adopted it. For the adults who see their children and students using apps they haven't heard of or tested, it feels daunting. This is why data privacy has risen to the top of education policy debates. There are school districts, like Cambridge Public Schools in Massachusetts and Fairfax County Public Schools in Virginia, have worked with companies, teachers, and parents to establish a vetting process that keeps all parties informed. When all parties are transparent and we keep the lines of communication open, we can build sensible policies together. We want our students to have access. But access is not limited to putting devices in hands. Our students deserve to have teachers who have had a chance to learn and tinker, so that they know what it feels like to fail and succeed with technology. Equity means that our students need access to devices, skills, and teachers that will help them try, iterate, grow, and eventually succeed at building essential college and career skills. There are ways that school leaders can provide these opportunities for teachers, but they need to have flexibility. If classrooms are going to start looking different, then professional development and school culture have to start looking different too. This is only a quick review. There is more and the panel is worth watching. After you read and/or watch, please comment or tweet and let us know your thoughts.